The verdict – can Ollie surf? We did it! We promised that Cactus Ambassador Ollie Phillips would try surfing in Spain, and here is the proof! A welcome visit to the beach after 40°+ temperatures in Seville (more on that later) saw Ollie swap rugby boots for surfboard and take a few lessons with Escuela de Surf Cadiz (Cadiz Surf School). 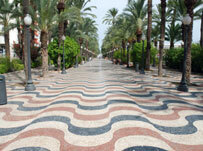 The lessons took place on Playa de la Cortadura, one of Cadiz city’s beautiful blue flag beaches. Known for its small waves and warm water, Playa de la Cortadura is perfect for learning to surf – and water lovers can also try paddle boarding and body boarding through the surf school. So how did Ollie fair? For his first time surfing, and with lessons in both Spanish and English, we were impressed! Ollie managed to get to his feet and catch a few waves with expert guidance from his surf instructor…before taking a dip in the sea! Well done Ollie! 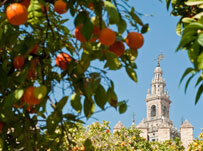 Keep posted for our next instalment of what it’s like to learn Spanish in Seville. Cactus offers Spanish and surf courses in Cadiz through CLIC, and Ollie also brushed up his Spanish in Seville at their excellent school in central Seville. http://www.cactusworldwide.com/blog/wp-content/uploads/2015/07/Ollie-surfing-small.jpg 151 211 Sarah Watkins http://www.cactusworldwide.com/blog/wp-content/uploads/2013/07/cactus-blog1.jpg Sarah Watkins2015-07-21 10:51:272015-11-26 16:37:41The verdict - can Ollie surf? 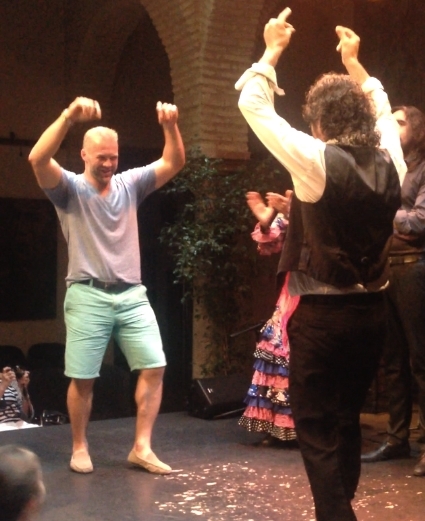 Last week we asked you what you wanted to see Cactus Ambassador Ollie Phillips doing in Spain…and the overwhelming response was to see Ollie Phillips dancing flamenco! We listened to your feedback and whilst Ollie was in Spain earlier this week he not only danced flamenco, but he did so at the highly prestigious Museo del Baile Flamenco in Seville. This 18th century Museum of Flamenco Dance, founded by respected flamenco dancer Cristina Hoyos, is a flamenco dance institution housed in a traditional Andalucian palace. Cristina is one of the most important flamenco dancers in Spain and she has worked with the legends of flamenco, many of whom are honoured in the museum. For those interested in learning about flamenco’s roots and appreciating the beauty of the art of flamenco, this is the place to come. Ollie was invited to join dancers on stage at one of their evening performances, in front of an audience of some 100 flamenco fans. Undeterred by no previous dance experience – and no doubt helped by the natural agility that comes with being a professional sportsman – Ollie gallantly copied the experts and proceeded to dance flamenco to everyone’s delight. Keep posted for the complete video of Ollie’s trip to Seville and Cadiz which will be released shortly – including footage of him dancing flamenco on stage! 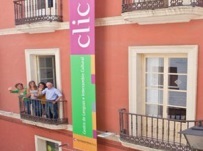 Ollie travelled to Spain to study Spanish with Cactus partner CLIC in Seville. 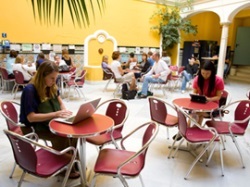 Cactus offers Spanish courses in Seville and in many locations across Spain and Latin America. 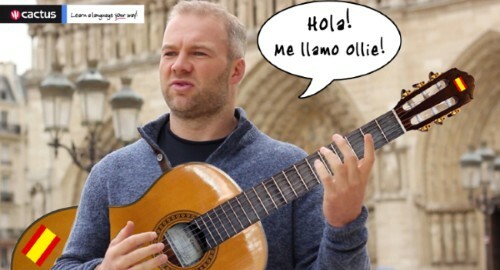 http://www.cactusworldwide.com/blog/wp-content/uploads/2015/07/Ollie-flamenco.jpg 150 203 Sarah Watkins http://www.cactusworldwide.com/blog/wp-content/uploads/2013/07/cactus-blog1.jpg Sarah Watkins2015-07-09 20:21:152015-11-26 20:33:51So you want to see Ollie dancing flamenco? Ollie Phillips Spain – what do you want him to do? Ollie Phillips Spain – Is Spain ready? 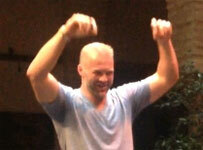 Now we want YOU to tell us what you want to see him doing! …and we will do our best to make it happen!! But quick – he goes on Sunday 5th July, so get your votes in now! Ollie Phillips Spain: Ollie is going to learn Spanish in Seville and try Spanish and Kitesurfing in Cadiz. 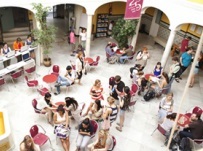 Cactus offers Spanish courses in Seville, Cadiz and across Spain, many of which offer the great opportunity to combine Spanish lessons with activities such as surfing, tennis, flamenco and cooking. http://www.cactusworldwide.com/blog/wp-content/uploads/2015/07/hola-ollie-small1.jpg 283 500 Sarah Watkins http://www.cactusworldwide.com/blog/wp-content/uploads/2013/07/cactus-blog1.jpg Sarah Watkins2015-07-02 11:02:282015-11-26 21:00:45Ollie Phillips Spain - what do you want him to do? You’ve seen Ollie tell us why he learnt French in France as a player for Parisian team Stade Français – now he’s learning Spanish and is all set to go to Spain to get the rest of us in the mood, too! Next month Ollie will jet off to Seville with Cactus – a vibrant city of flamenco, tapas and fiestas – before heading to the coast to try Spanish & Surfing in Cadiz. We’ll be making a video to show what this beautiful part of Spain has to offer and to highlight the many benefits of learning Spanish in a country where it’s spoken. 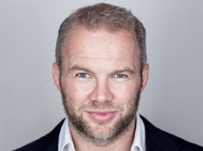 A professional sportman who has travelled the world playing rugby, sailing in the Clipper Round The Wave Race, commentating for Eurosport and Sky (in French) and delivering workshops to global brands, Ollie has first-hand experience of the importance of language in international communication and understanding. He has come on board as Cactus Ambassador as he is passionate about sharing his experience to inspire Britain’s younger learners in particular to learn a second language – opening the door to infinite career and other opportunities. Cactus runs language courses in over 120 destinations abroad, as well as private and corporate language training, evening courses in the UK and TEFL courses worldwide. Fiesta time is upon us! If there’s anywhere that knows how to throw a good party, it’s Spain. These festivals are the perfect pick-me-up after the long winter months, and a great incentive to learn a little Spanish too! Of the 150 or so locations in Spain to celebrate Moros y Cristianos, there is no beating the celebrations that take place in Alcoy, Alicante. The festival dates back to the 16th century and commemorates the Battle of Alcoy in 1276, when the Christian army of Saint George helped defeat the Moorish troops lead by Al-Azraq. In homage to St George, the people of Alcoy made him their patron saint and vowed to hold a festival in his honour each year…and what a festival it is. With 28 armies in mock battle, intricately-made costumes on show, a spectacular procession and breathtaking firework displays, the streets are full and the atmosphere is electric in this fitting tribute to the battle that expelled the Moors from Spain. Little may need to be said about what is arguably Spain’s biggest fiesta. 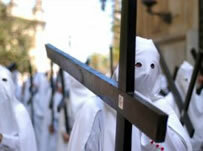 The solemnity of Semana Santa the week preceding Easter is cast aside as the vibrant Andalucian city of Seville erupts into the much-anticipated April Fair, a week-long party of flamenco dancing, horse shows, bullfighting and more. This is Spanish fiesta at its best. The only problem is what to see and how to reserve enough energy to stay up all night and join the locals at what they do best – party, party, party! Exploring a city’s streets is one thing, but knocking on somebody’s door and entering through heavy wooden doors that are kept closed for 50 weeks of the year is a real privilege. 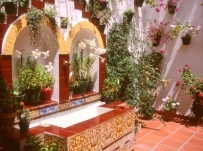 And this is what Patios de Cordoba grants you – the chance to enter into the cool shade of private homes and feast your eyes on their patios which have been lovingly adorned throughout the year with all manner of flowers, plants and decorations. Lemon trees, geraniums, roses, carnations, fountains – the list is endless, but the colour and scent won’t fail to impress, and nor will the chance to enter hidden corners of Andalucia away from the rush of modern life. 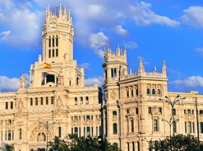 If you want to experience the most quintessential of Spanish traditions then head for Madrid during its San Isidro festival. Not only is this the world’s most important bullfighting festival, it is also an excuse for flamboyant Spanish fiesta in the form of music, dancing, fairs and what is known as a romeria, or pilgrimage, to the shrine of Madrid’s patron saint, San Isidro. 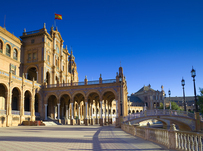 Las Ventas bullring plays host to the much-anticipated bullfights, concerts are held in the beautiful Plaza Mayor to concerts, and Vistillas Park is transformed into an open-air dance hall. Book tickets to specific events in advance, or just turn up and soak up the exhilarating atmosphere. 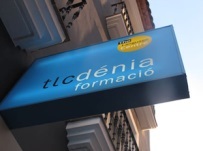 Cactus offers Spanish courses in many locations across Spain as well in countries throughout Central and South America. 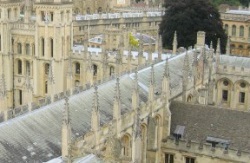 Where are the Best Language Schools in the World? Cactus’ recent appearance on the Guardian website in an article entitled “Top language learning holidays – in pictures” coincides perfectly with our brand new Top 10 Schools page. Designed to give inspiration for the best places to learn a language, these schools are not just our most popular; they also offer great value and quality teaching in some of the most exciting locations across the globe. Whether you fancy learning Portuguese in Brazil or French on the glittering Côte d’Azur, you can be sure that our Top 10 schools offer the best and cheapest ways to study a language. 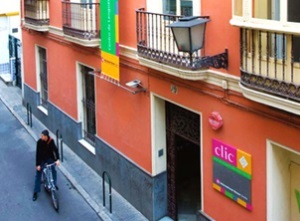 Currently topping our Top 10 list is Babylon Idiomas Seville, a small and friendly school located in the heart of Seville’s flamenco neighbourhood of Macarena. This makes an excellent choice when it comes to learning Spanish in Spain, or perhaps you’d prefer to combine your lessons with sailing or kite surfing at Taronja Valencia (number 6)? Whatever your preference, there is something for everyone in our Top 10 Schools…our clients are a savvy bunch, and if these are the places they book time after time, they must be on to something. 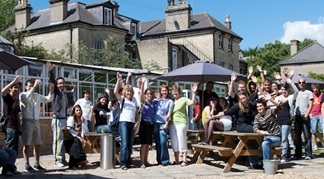 Cactus offers language courses in over 25 languages and 120 destinations worldwide for adults, juniors and professionals. We have over 15 years’ experience providing study abroad courses, and you can book in the knowledge that you will receive the highest levels of customer service as well as a price match guarantee. Use our website to browse language courses by location or language, or feel free to call us to chat through the options on 0845 130 4775 (UK local rate). 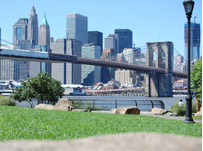 * Above image is of Brooklyn which appears at number 2 of our top 10.
http://www.cactusworldwide.com/blog/wp-content/uploads/2013/04/Brooklyn.jpg 151 203 Sarah Watkins http://www.cactusworldwide.com/blog/wp-content/uploads/2013/07/cactus-blog1.jpg Sarah Watkins2014-08-12 20:34:572015-07-31 10:42:03Where are the Best Language Schools in the World?